The tectonic regionalization of SL2013sv presented in Schaeffer & Lebedev (2015) is available for download from the Models page! This past July, we revisited the BISN (Banks Island Seismic Network) Sites that were installed the previous summer. Despite some weather related logistics, we were able to successfully visit each of the three seismometers. As is common working in these challenging conditions, we were met with mixed results in terms of the sites themselves. Prior to travelling North, we already new that the site at Nelson Head had been wrecked over winter. Even after visiting the site, we are unsure weather this was due simply to high winds or if any Polar Bears had any impact. Thankfully, the remaining two sites, Bar Harbour and Johnson Point were both upright. 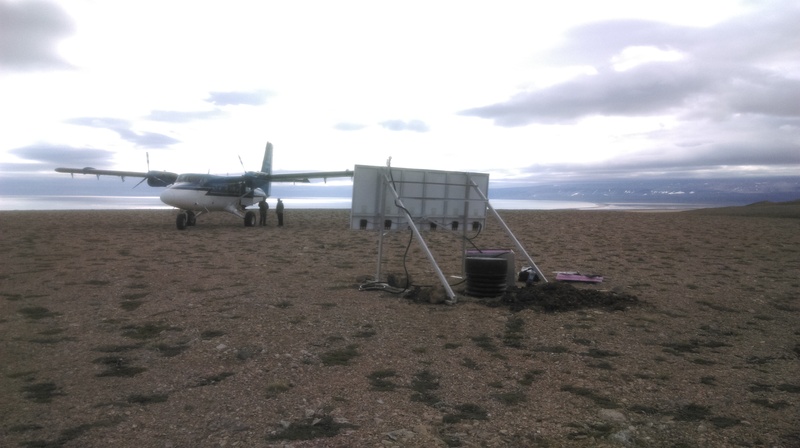 The most northern and remote of the three sites, this one is more challenging to access due to the tight landing requirements. The “runway” is a sandbar in the bend of the river, and due to its orientation, means a successful landing can only be made when the wind is blowing in the east-west direction. Furthermore, we actually need this east-west wind to land and take off from due to how short the runway is. Although the site was still standing, it was not running. 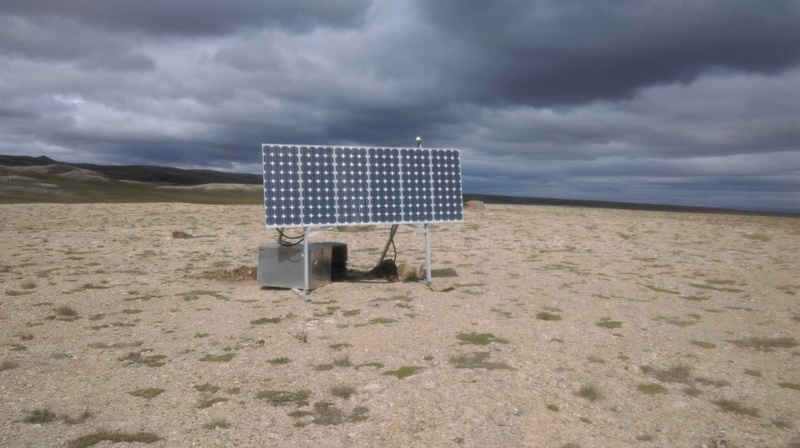 It appears that after it shut down in late-December, the solar controller was fried, possibly due to a lightning strike over an overload during charging. Unfortunate, but you live and learn. Thankfully there is some good data collected from the site prior to its shutdown. This site was running upon our arrival! Hurray! It did shutdown for some time over the middle of winter. There is no light, so the batteries are completely drained. This year, it woke up again. As we visited earlier than last there, there was an incredible ice-wall built up along the beach resulting from wind and wave action stacking the incoming sea ice on the beach. This made the site visit a bit more nerve wracking as this wall only 15m away posed as an ideal spot for Polar Bears to sneak up on us. This site had been knocked over, either by the winds or a helping paw from a passing Polar Bear. Either way, it recorded data through to late November, which was a great relief. 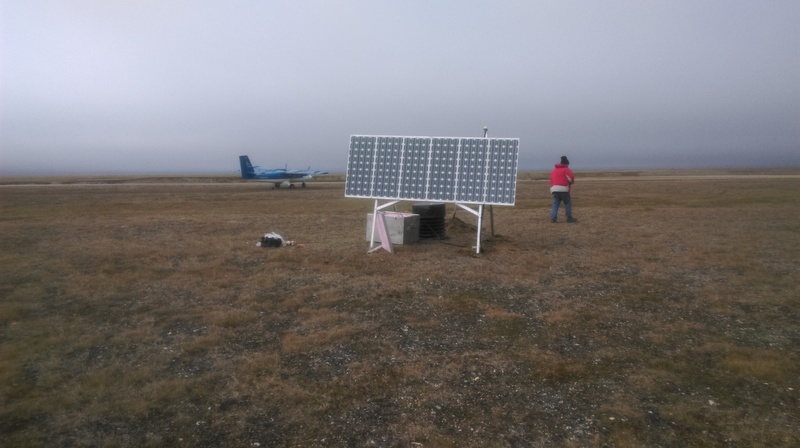 The hardest part about installing these sites in this remote location was flying away on the plane hoping that everything was set up correctly and the data was being recorded. 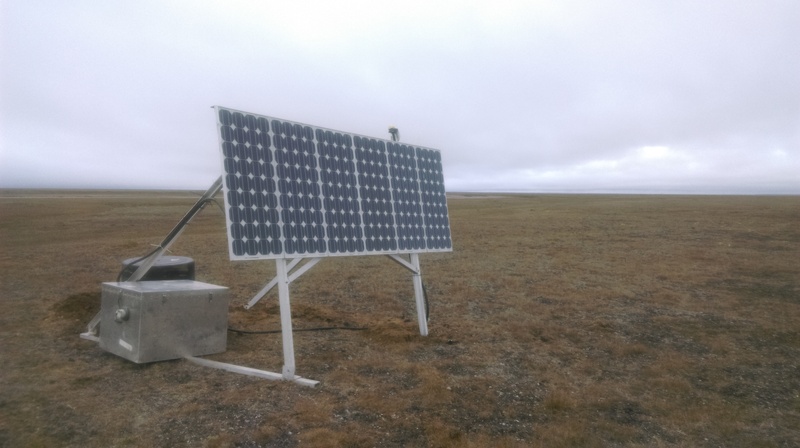 Below is a sample figure showing the same Earthquake recorded at the three BISN stations (BRHR, NLHD, JNPT), one at the Norman Wells Array (CARC), and two USArray Tranportable Array Stations (A36M in Sachs Harbour and C36M in Paulatuk). The earthquake was a magnitude 6.7 in Ryuku on November 13th 2015.